There’s a classic narrative about 20th century minimal and experimental music that speaks of deconstructing traditional roles and hierarchies. The need to confront issues outside of music became an organizing principle with which to compose, and having a good idea could trump musical ability. The music of Pauline Oliveros and Ione moves beyond experimental music’s theoretical concerns towards a functionality that’s steeped in actual human relationships. So in a sense it’s difficult to recommend Water Above Sky Below Now, a continuous 39-minute improvisation for accordion and voice, in isolation from Oliveros and Ione’s two trademark projects: the concept known as “Deep Listening” and a musical processor called the Expanded Instrument System (EIS). Deep Listening is a multifaceted concept that’s hard to reduce to a simple definition. Roughly, it’s an exploration of hearing—both active and passive—as a community-building tool and a general approach to understanding creativity. As an organization, the Deep Listening Institute (DLI) runs retreats, workshops and residencies geared at using music as a path to inclusivity and awareness. To take one example, Oliveros and her team create software that allows children with severe disabilities to improvise together. Ione is the director of the DLI and a specialist in dream awareness, which includes a variety of techniques of dream analysis and group discussion. The connection between this background and music makes sense on Water Above, where Ione’s vocal contributions remain highly allusive. Her voice appears in keening fragments whose narrative gaps allude to salt, blood and the Middle Passage: “The sea is upside down…red sand…those beneath the ocean…our footsteps on the ocean floor…the man with scorpions in his pockets…those women in the tower…how could you leave them there? Where is the key?” Ione’s fevered exhalations seem powered by her own sense of wonderment and discovery, and are occasionally confronting in their nakedness. Her concept of dreaming as a vital means of communication between disparate cultural groups provides one way to read her questing vocal contributions. And still, Oliveros’ customized accordion, operating within her Expanded Instrument System, remains the main attraction. Oliveros likes to call EIS a “time and space machine” that can break down the relationship between past, present and future. Using a huge battery of delays, reverbs and spatial tools, the system takes fragments of accordion and voice and turns them into putty. Often it sounds as if the accordion is divided into two personae: sometimes spluttering and bickering, other times united in disquieting accordance. After a while your perception of pitch goes out the window, leaving your mind to trace shifting hulks of sonic mass and blink-and-you’ll-miss-it musical gestures. With the first volleys of the instrument’s reedy sound, just-intoned harmonies fill discrete points of space. Sounds whirl around your head. Your head whirls around the sound. The focus here is on duration and timbre rather than pitch and rhythm, and the cumulative affect is surprisingly playful. Though it’s couched in a musical language that promises a small audience, and a conceptual background that requires some explanation, seeing Oliveros and Ione appear on a label like Morphine bodes well for reasserting marginalized voices in the history of electronic music. Interestingly, this marginalization was in full swing at a time when the line between high and low culture was supposedly dissipating. In the ’60s, globalization opened up an inspirational world of non-Western musical concepts. Video artists became composers, performance artists became musicians, and engineers became tape artists. But decades on, it’s clear that any lasting radical changes were confined to a ghettoized experimental music audience, and the men who fit the old systems of male-oriented music history were elevated above the rest. 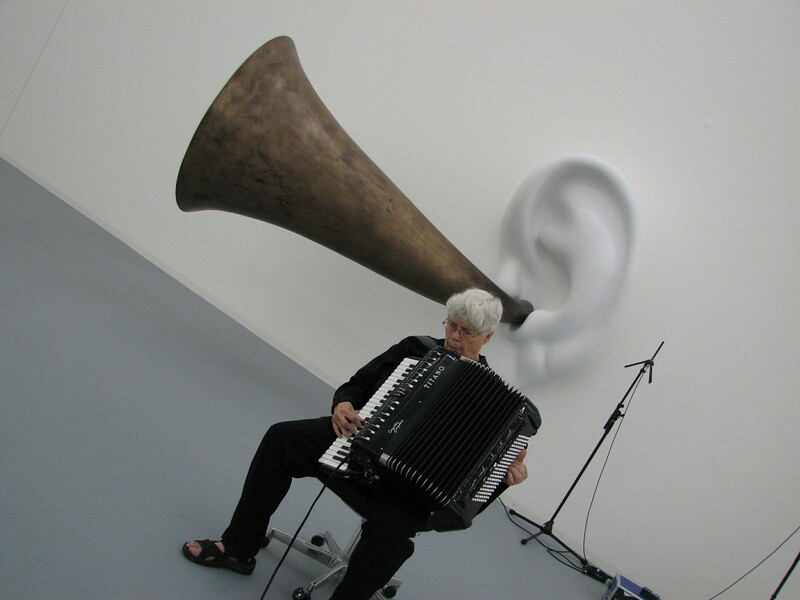 Perhaps that’s why most people are less likely to have heard of Pauline Oliveros than her contemporaries. She certainly has her place in music history, but it’s situated within the biographies of illustrious males, some old, some dead, and many of lesser importance. This article recently appeared in Electronic Beats Magazine. Read more from our print issues here.